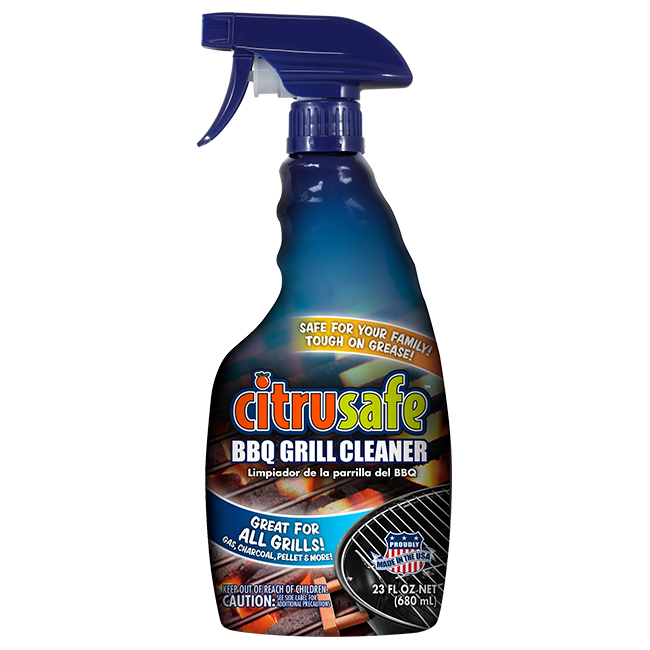 Utilizing the power of citrus (d-Limonene), CitruSafe is specifically formulated to provide a simple, safe, yet powerful alternative to cleaning a BBQ grill’s cooking surfaces (grates). The combination of our heavy-duty recyclable pads and powerful biodegradable degreaser not only ACTUALLY CLEANS YOUR GRILL, it does so without the fear and dangers associated with wire grill brushes and “the burn off method”. 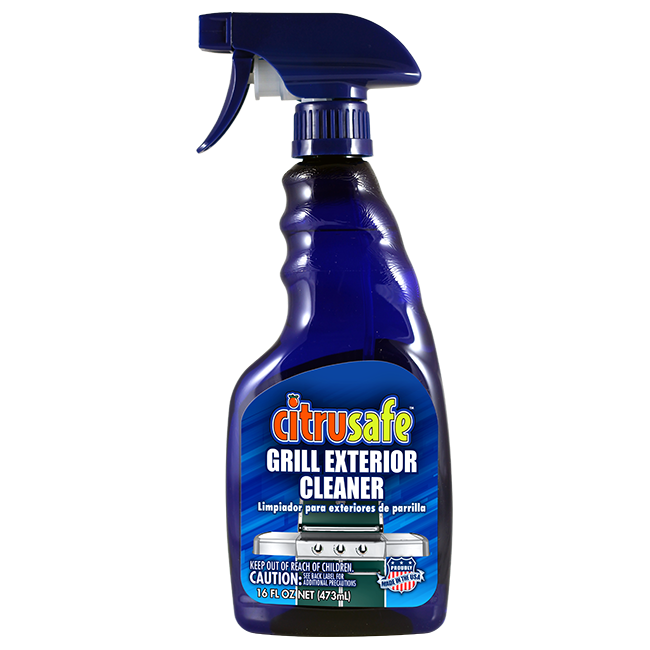 CitruSafe™ Grill Exterior Cleaner was specifically formulated to clean the exterior of your BBQ Grill without streaking. 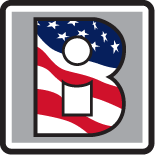 Find out more about CitruSafe Racing and Burt Myers! And order some sweet swag while you are at it! 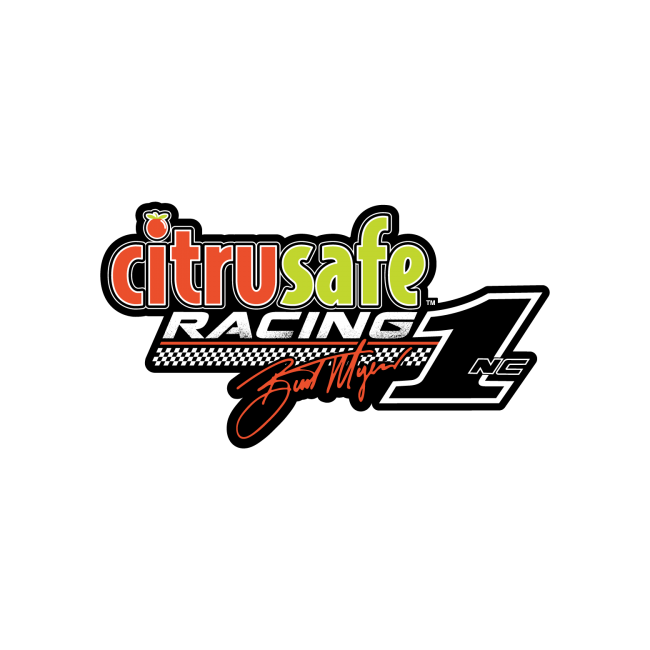 CitruSafe Racing is a proud sponsor of Burt Myers, driver of the #1 car in NASCAR’s Whelen Modified Tour. 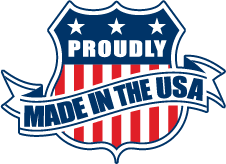 CitruSafe Cleaners provides safe, effective alternatives to traditional grill cleaning methods. Good Grilling is Made Better with the industry’s first non-toxic, biodegradable spray specially formulated for cleaning your barbecue grill. Between 2002 and 2014, an estimated 1,700 Americans went to an emergency room after having ingested wire bristles hidden in grilled food. One in four of those with grill brush injuries had to be admitted to the hospital. 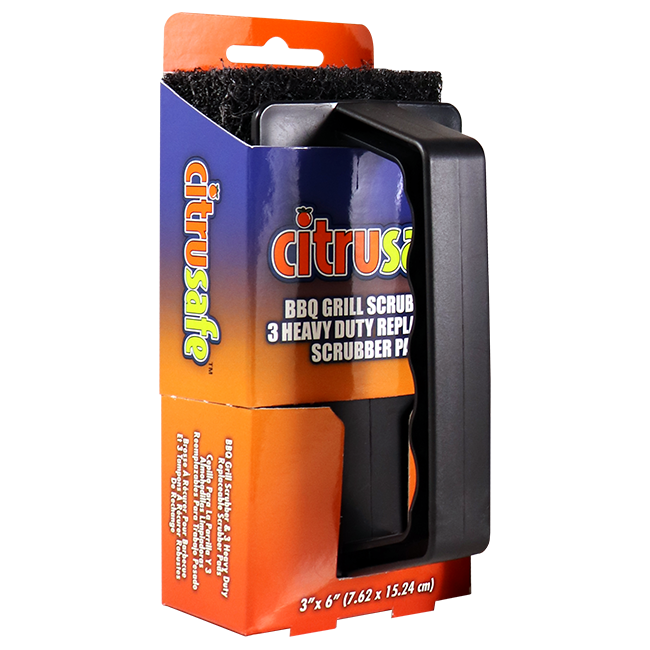 In combination with CitruSafe BBQ Grill Cleaner, CitruSafe BBQ Grill Scrubber is designed to clean your grill’s cooking surfaces without the unnecessary risk of ingesting wire bristles.